The Fast Plane | Just Shooting Memories! For those of you who are new to the blog, I offer the vast majority of my photos under a creative commons license. For details, click on the Creative Commons License link on the right. Also, when you click on the individual photos in each post, it is a link to that photo in my Flickr photostream. From there, you can get to an original size photo. Unfortunately my one problem so far with Flickr is that individual photos are limited to 20MB. So, most of my photos are in the 60 – 80MB range, this means there is some reduction in quality; something no one viewing these photos on a computer will ever notice. Long explanation to tell you to click on the photos for your new desktop. Along those same thoughts, at the bottom of each page, you can click on previous entries to work your way backward through my blog posts and see the photo of the day from previous posts. 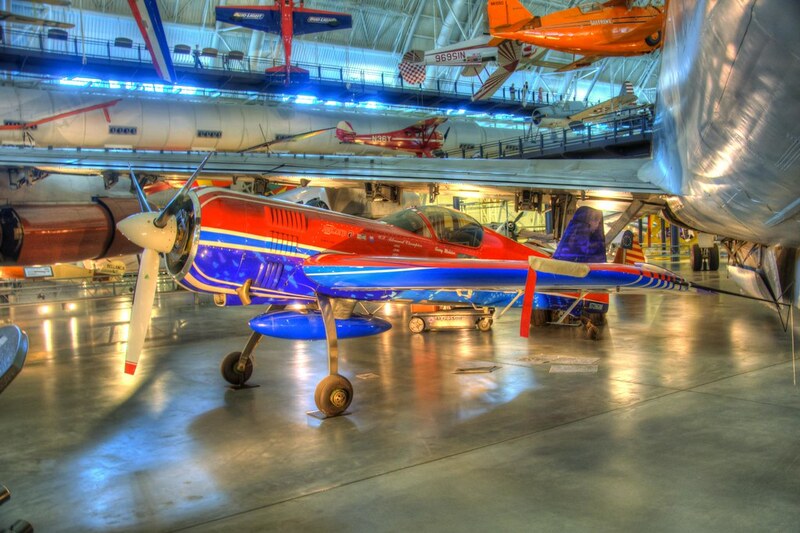 Today’s photo is another one captured from inside the Air and Space Museum at the Dulles Airport (The Udvar Hazy building). I am so focused on taking photos when I make a dedicated trip that I tend to miss absorbing what I am actually looking at. In that process, I also missed the names of most of the airplanes on this trip. Or then, maybe I was still in awe ate getting to see the Enterprise, the Blackbird and the Enola Gay. Next time, I make the promise to make a concerted effort to take a pad of paper and write down the description of what I am looking at, but until I am successful, I leave it up to you to help me along. Nice image. Great colors. Did you handhold it or sneak a tripod in? All of my photos at the Udvar-Hazy were handheld. I think I am going to try to get a tripod pass my next trip.